A group of strangers risk death along the New York State Thruway to save a soldier from a burning truck. The true story, as told by football legend Jim Brown, of how the number 44 rose to prominence at Syracuse University. The beautiful yet tragic connection between Vice President Joseph Biden and Syracuse. The impossible account of how Eric Carle, one of the world's great children's authors, found his way to a childhood friend through a photograph taken in Syracuse more than eighty years ago. For Kirst, his canvas is Syracuse, an upstate city of staggering beauty and profound struggle. 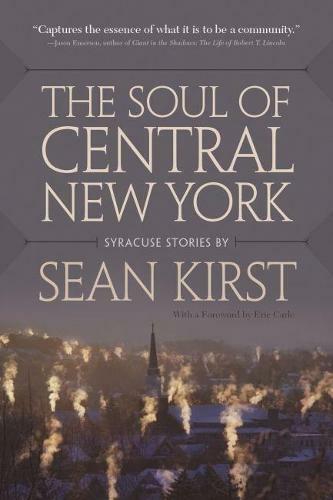 In this book, readers will find a nuanced explanation of how Syracuse is intertwined with the spiritual roots of the Six Nations, as well as a soliloquy from a grieving father whose son was lost to violence on the streets. In these emotional contradictions-in the resilience, love, and heartbreak of its people-Kirst offers a vivid portrait of his city and, in the end, gives readers hope.